It's been nearly a year since I last released First Recon. Although this game has the same name, it is much different. I wanted to restart the game because the older premise I felt did not stand out enough from other titles; It turned into a more generic COD styled shooter. 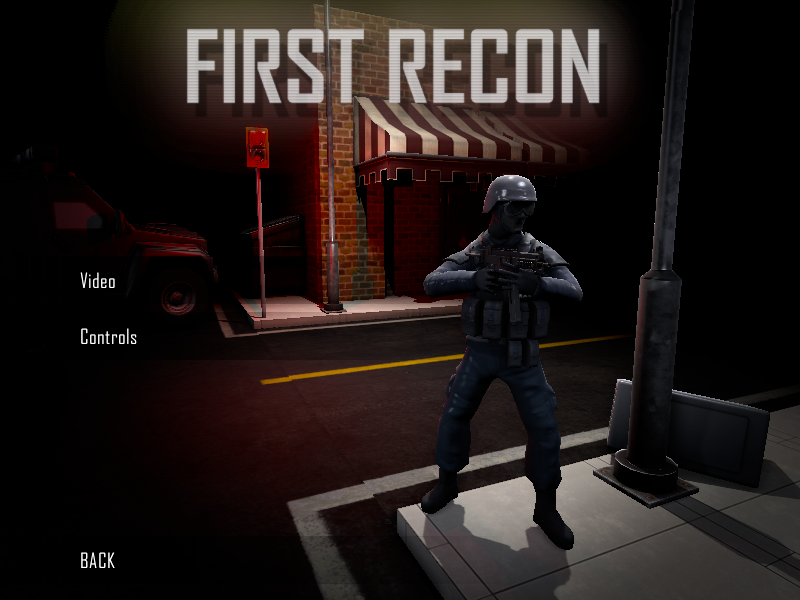 First Recon is an attacker/defender style FPS where the defender's room is randomly generated. It is quite basic at the moment, but I plan to add more content as time goes on! 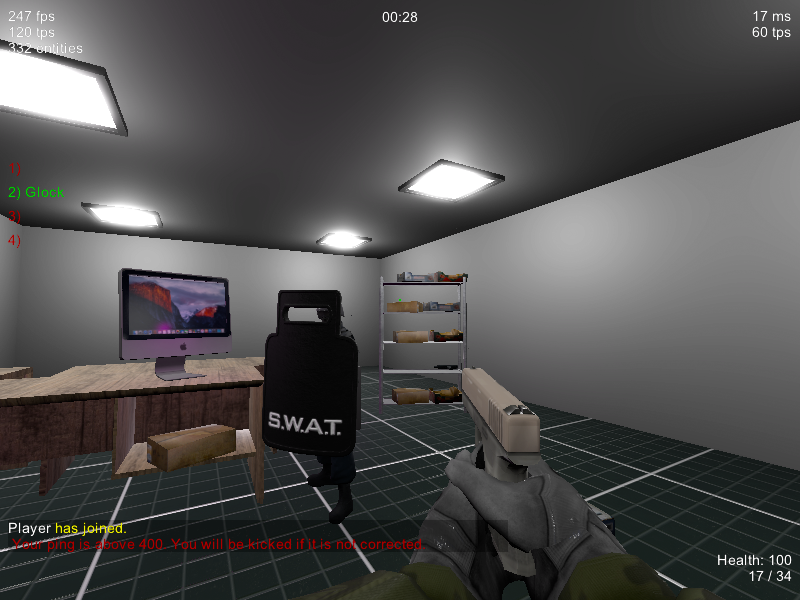 The Defenders (Terrorists) control a randomly generated room. The room has 2 entrances that the Attackers (Counter-Terrorists) must use them to eliminate their target. The Attackers start off in an arsenal where they can pick their weapons and grenades. The Defenders start with pistols, but have to explore their map to see if there are any short-range guns laying around. I plan to rewrite the generation system to allow for much more complex maps. This is mostly a proof-of-concept at the moment. There will be more guns, and eventually game-modes. The first game-mode I plan to create is a bomb-defusal where the terrorists can plant the bomb anywhere inside their building. You need a graphics card capable of OpenGL 3.2 and you need Java 8. You should have a decently strong CPU 2.6 Ghz and above seems to work nicely. I've tested this on both Windows and Mac (not linux) and runs reasonably well. Windows has better performance (with the same hardware). The game has a few crash bugs that I am working on fixing. Though, it never seems to crash for me; always other people. 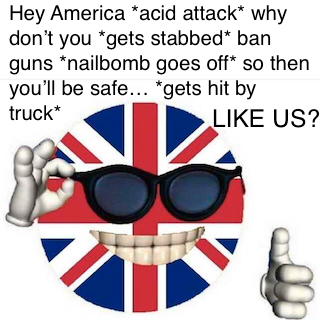 They'll get tracked down eventually! Also, I am aware of the jittering physics. I am not sure how to fix it at this time though! Great concept! I just downloaded it. I can't wait until this game is completed!! I will add this, don't worry Though for the time being, you can open the console (~) and type disconnect. I rewrote the animation system such that the legs and torso animations are desynced. This will allow me to easily animate the player when crouching or walking. And on that note I've also added a walking animation into the game. When a player aims his weapon he now slows down. While you are slowed down, you have a walking animation. I programmed some things to try to make the physics twitching less apparant. I also added a disconnect menu when you press escape. Added in crouching. Will also affect your hitbox (client and serverside). I changed the desk model to have a cubby underneath. The desks will also spawn a magnum (at random). The magnum should 1 shot headshot. Also a bunch of crash fixes and bug fixes. Does crouching under an area that you can only access by crouching and then standing up cause you to clip through? nice work! I'd like to find some other players to play with it! There are also grenades ? Though in the future I plan to have some ways the terrorists can barricade some parts of the map to change the flow of how the CT's will breach. Yes there are grenades. The CT's spawn with a big wall of grenades to choose from. The framerate seems to be good, but it still feels kinda jittery and wrong when walking and looking around. Are you planning on adding latency-hiding mechanisms comparable to what source does? Are any other break in methods planned? Like walls that can be bombed away? Or getting roof access and going through windows in the ceiling? There already is a lag compensation when shooting. It's pretty simple. The server records a list of the last 60 positions (recorded at 60 tps). Then when someone shoots you it uses their ping and looks up the position closest to: (server time - their ping). The ping is a little on the high side, but I believe this is due to I calculate ping as time spent sending packets from the server to the client back to the server. I think most games just use the time from server-to-client. Awesome, I couldn't test lag-comp, because nobody was online. Then what i should have really asked about was physics prediction, will this be a thing? 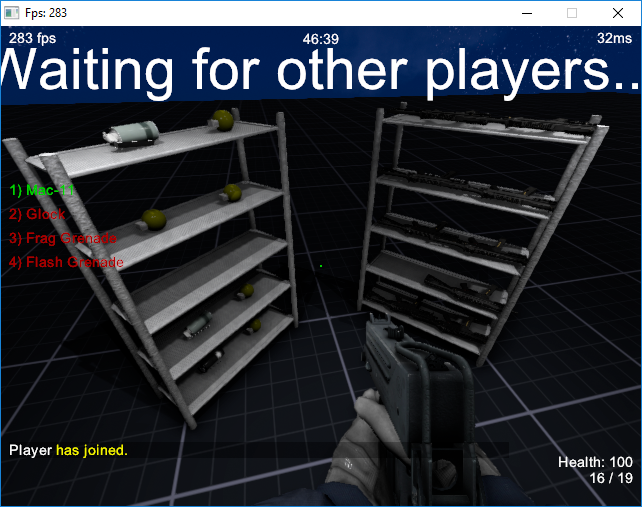 At the moment all of the physics are entirely server-sided (with the exception of your player). The client runs the simulation just to smooth things out. At the moment I don't see a need for the client to predict things. - Balanced some of the guns. Attacking side guns are worse at "running and gunning". - Fixed getting (sometimes) disconnected on your first load into the server. The g36c model is a temporary model. It is not owned by me. Are you going to release the server binaries once the game ist in alpha or beta state? - Added: Proper round system. Teams scramble on start. After 3 rounds teams switch sides. After 3 rounds game restarts. - Added: Preperation Phase (40 seconds). - Added: New room-item: Couch. - Added: Free-Camera option while spectating. - Added: New console command g_uienable (toggles rendering the games UI). - Fixed: (hopefully) Client running out of memory due to sounds. - Fixed: Some more crash bugs. - Fixed: Players spawning in as invisible when their team changes. - Fixed: Teams properly scramble on the first round. - Fixed: Players going temporarily invisible after throwing an item. - Change: Extended round timer to 2:30. - Change: If the game failes to load properly, it will let you know. Had some fun 2v2's and 3v3's today! - Added: Proper crash window when game fails to load. - Added: A lot of new textures for the building. - Added: Ability to use mousewheel to navigate inventory. 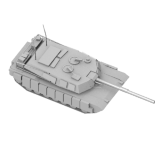 - Added: Grenade shortcut key (default: Middle Mouse). - Added: Explosive propane tank (Can be picked up with E). - Change: Gun will automatically reload when you are out of ammo. - Change: Slightly slowed the walking animation. 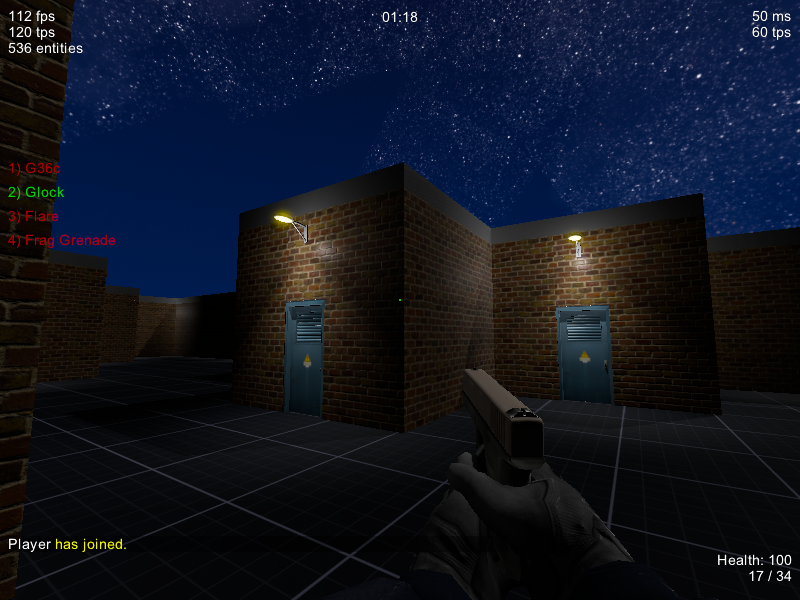 - Added: Shadow-mapped Point lights on guns and explosions. - Added: Blood decals stick to the walls after being shot. - Added: Crashlog is written to file. - Added: Simple culling for shadow-casting lights. - Change: Changed lighting in titlescreen. - Change: Animations now reflect what type of weapon you are holding. - Fixed: Barrel (Propane Tank) no longer breaks when holding it and disconnecting. - Fixed: Decals can now stack ontop of eachother. - Fixed: Various crash fixes. - Added: Doors now display a message when you try to open them during the preparation phase. 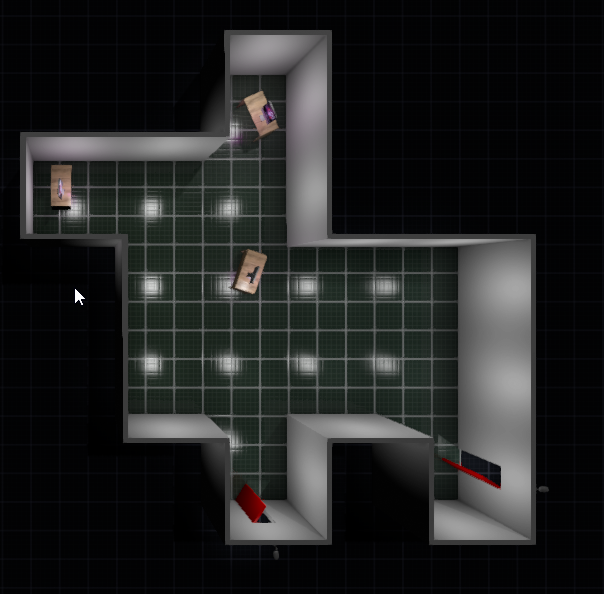 - Added: Multiple rooms with doors connecting them. - Change: Rewrote map generation system. Now supports room types. - Change: Lights are now brighter in the building. - Change: Made player movement tighter. - Fixed: Double lights spawning for every light on the map. - Fixed: Some bugs while spectating and typing. - Fixed: Decal renderer breaking after resizing window. - Added: View disorientation when colliding with the ground/jumping. - Fixed: Packets too large not being fully read. 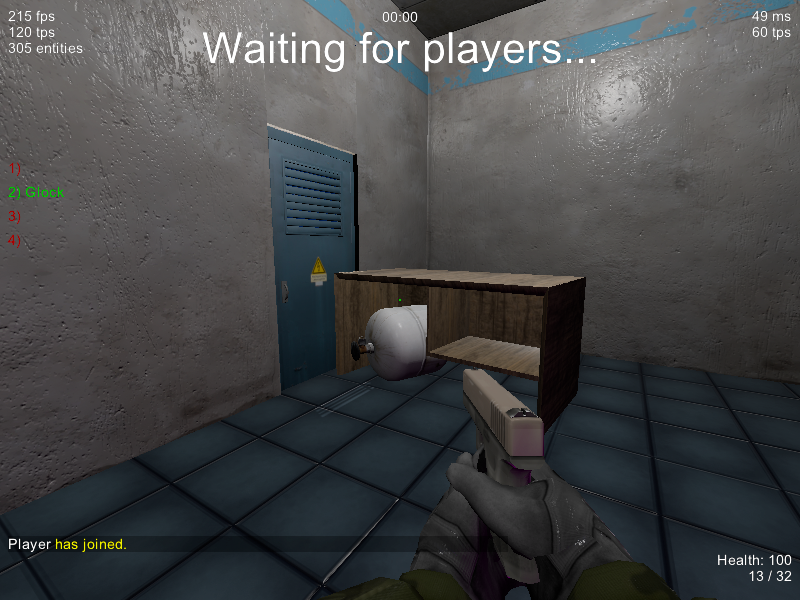 - Fixed: Map could spawn rooms with no doors. 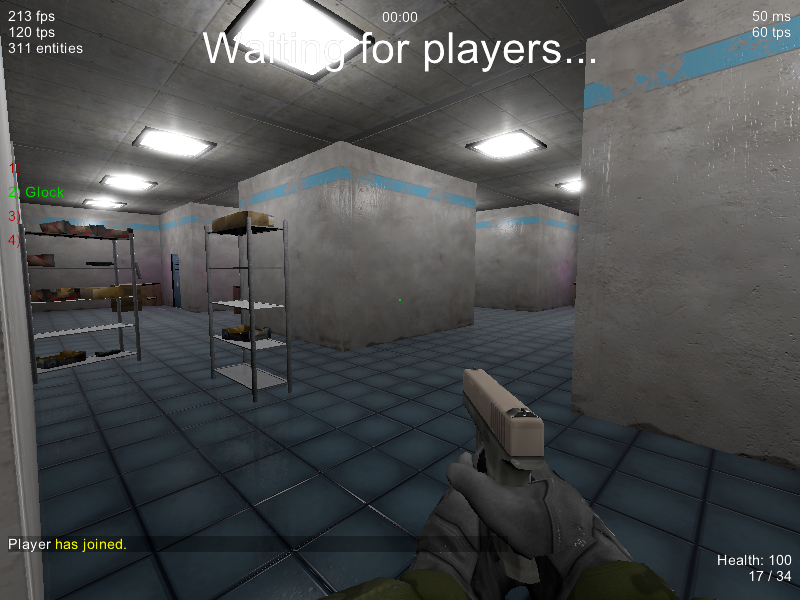 - Fixed: Map could spawn doors to the outside but in non accessible areas. Did you create all assets by yourself? What did you use? Blender? 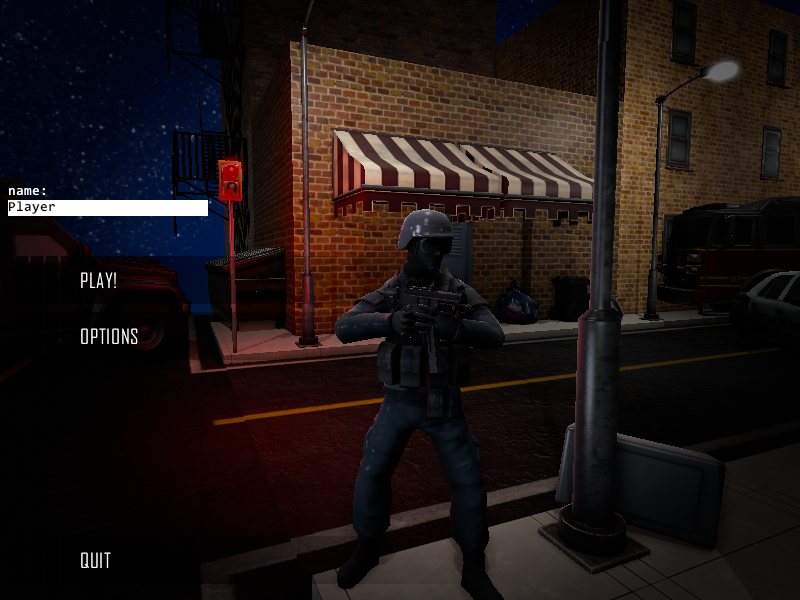 My friend created all of the assets (with the exception of the G36c, blue door ). He used a combination of blender and a 3d sculpting software. just a little post of encouragement, i felt on this project on itch.io and match "hey it's the guy from the forum !" . The demo is pretty classy, runs perfecty, even if i didn't find how to incarnate the "cop" team (who must be outdoor if i understood). Just a question : i found the 50 fps limitation for the render a bit unfortunate, is it a choice or a constraint (maybe with multiplayer) ? Help run it under Linux! Seems like a problem with the deallocation util that I used? This should make it work I guess. --add-exports takes as parameter what to export and for whom (i.e. for which module or for the unnamed module, i.e. classpath).